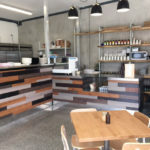 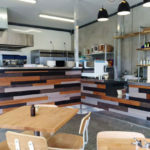 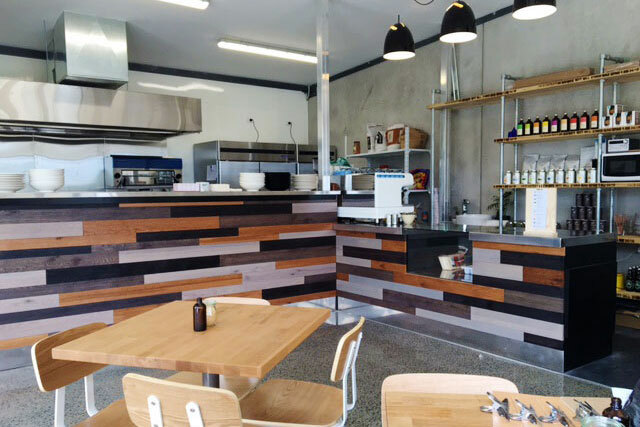 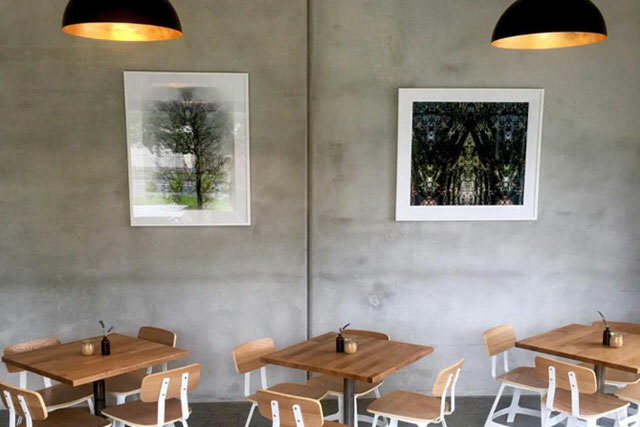 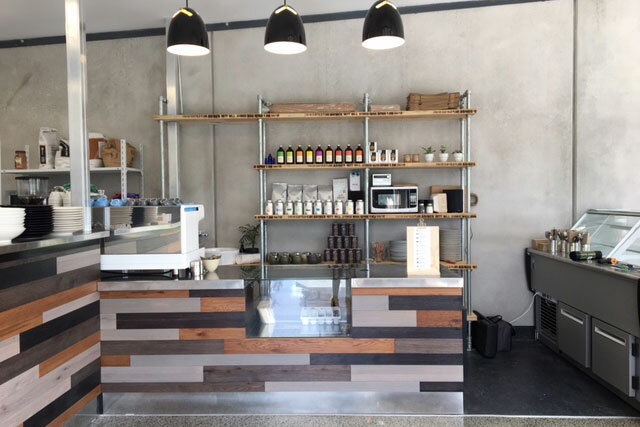 We worked with Marua Rd Café owner Chris von Batenburg on some of the design details in this recently opened industrial chic café space in Mt Wellington. 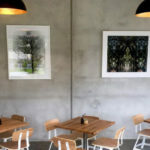 It had a beautiful raw quality through the concrete wall and large hanging ceiling metal cable trays that were great inspirational pieces to work from, and which Chris wanted to accentuate through the rest of the design. 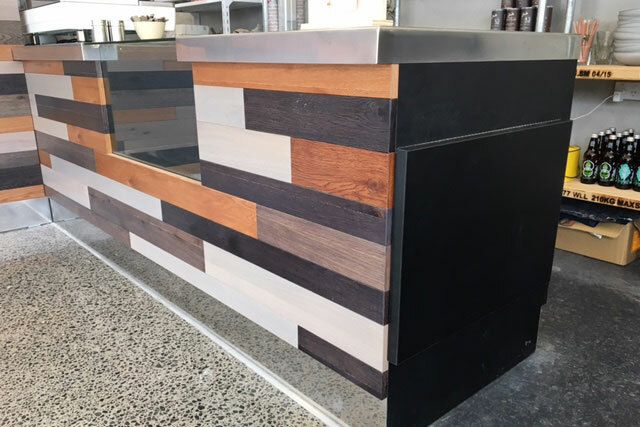 We custom designed the L-shaped counter which has become somewhat of a feature piece in this stylish café. 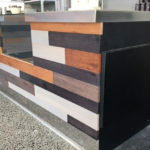 We incorporated mismatched recycled oak pieces then stained and distressed them to emphasize that raw look, matched with the sharp edges and contrast appearance of the stainless steel detailing. 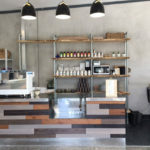 In the centre, we added a glass display window for food display. 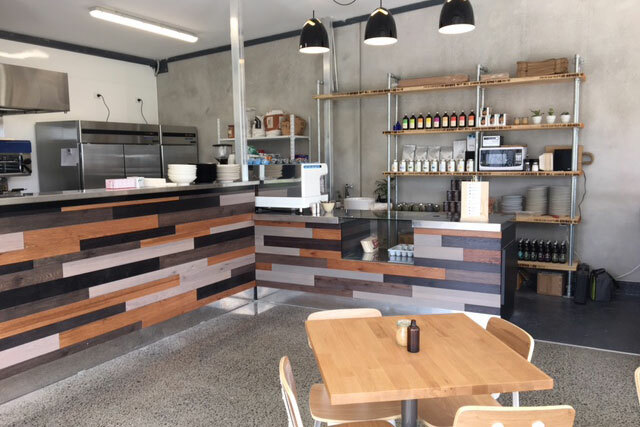 The custom counter sits beautifully in front the pipe recycled timber shelving and among the fresh American oak and white tables.